Online Store - BalsaTron, Inc.
We supply the finest North American Basswood available. Its an economical and workable with great finishing qualities. Our AAA balsa wood is a kiln-dried product from various South American mills. 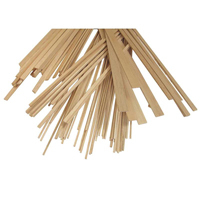 Balsa wood has a high strength to weight ratio and is the desired species for many modeling projects. This wood is also used for many types of crafts and architectural projects due to the ease in workability and cutting easily with a hobby knife. 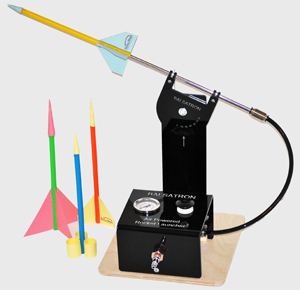 Air Powered Rocket launcher and rocket designs are perfect activity for teaching aerodynamics, fin and nose cone design. Rockets are propelled by compressed air which is delivered through custom pneumatic system. STOP using CO2 cartridges. Air Powered Dragster system is a CO2 less dragster launcher and dragsters that are cost effective to operate and safe. Could be used a s Single or Dual lane system. Vehicles are propelled by compressed air which is delivered through custom pneumatic system. Explore motion with verity of drive configurations. Hot Wire Foam Cutters, Foam Core Boards, Foam sheets and Blocks are the tools and project materials to bring designing and ideas to life. 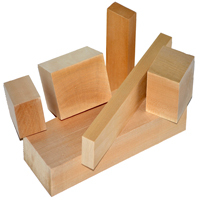 Wide selection of kits to learn by building Structures, Bridges, Boats, Planes and Race Cars. Exploration of Electricity, Power Generation and Magnetism. Eliminate batteries and power your activities. Birch model aircraft plywood is high quality plywood with a minimum of 3 to 7 laminations determined by thickness. Our plywood is imported from Finland, Birch plywood takes paint or varnish well and can be used in laser cut applications. Lite poplar plywood is a less expensive option for buyers not needing the strength which birch plywood provides. 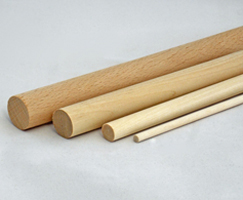 Dowels are solid cylindrical rods which are used for variety of application such as an axial. Syringes, tubes and interconnecting parts are ideal components for building robotic arms and project to demonstrate hydraulic principles. Sandpapers, sanding pads and sponges are abrasive materials which are used to remove small amounts of material from surfaces to make them smoother for panting or to create a shape. Sandpaper "grit" is a reference to the number of abrasive particles per inch. The lower the grit the rougher the sandpaper and higher the grit number the smoother the sandpaper. Sanding with progressively finer grits removes the scratches. Self-Healing Reversible Cutting Mats and Precision Cutting Knives are ideal tools for building projects. Glues, glue guns and multi temp clear all purpose glue sticks are capable of bonding many plastics, wood products, fabric, leather, foam, PVC, polycarbonate, paper, ribbon and aluminum. Protect your eyes and lungs. Always wear protective goggles or glasses as well as dust mask when sanding, painting and drilling.